Though mobile gaming has been around for years, it has recently experienced a spike in popularity with the rise of more sophisticated, app-based smartphones. As gamers flock to mobile, mobile financial services (MFS) providers are increasingly seeking ways to break into this growing space, though they have faced challenges in developing seamless, secure transactions for mobile games. 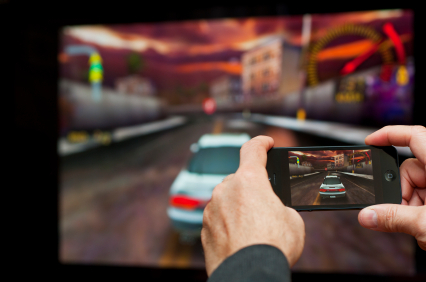 The rise of mobile gaming is a global trend – though the growth is most perceptible in developed economies. In the five leading European markets, a third of mobile users play games on their mobile phones, and mobile gamers in the U.S. are expected to reach over 140 million by 2014. In South Korea, a loosening of telecom regulations and an increase in smartphone ownership has created a “rich environment for the growth of mobile gaming,” and gaming is expected to grow there at a double-digit rate into 2017. Countries such as China, Nigeria and Brazil have also experienced a rapid increase in gaming via mobile devices. Designing effective systems for in-game purchases can be challenging, requiring providers to take into consideration a unique set of issues not relevant in m-payments for physical goods or at brick-and-mortar stores. While many MFS platforms cater to adult consumers, transactions in the gaming space must be accessible to a broad range of users, including those that may not have credit cards, such as teenagers. “If credit cards are your only payment method, you are cutting off a key demographic – the younger audience,” said Ashman. While appealing to younger gamers is important to game providers’ bottom line, MFS providers and gaming companies must tread carefully to avoid misuse. A lawsuit filed against Apple in 2011 highlights the risk of in-game mobile purchases that are accessible to children. The suit was filed by a group of parents, who claimed their children were able to repeatedly purchase virtual goods in mobile games, unknowingly racking up enormous bills. Though Apple has since put in place protections to address this problem, the case highlights the considerations involved in designing m-payment systems for mobile games, particularly those that target youth. Beyond reaching unique demographics, MFS for gaming must be particularly rapid, offering a seamless experience that does not interrupt the flow of the game. Processes requiring too many keystrokes may cause user drop-offs – shrinking already narrow revenue streams. This is particularly true in the context of mobile gambling, which thrives on impulsive purchases and thus requires a frictionless transaction process (see next article for more on m-gambling). A range of mobile micro-payment offerings have emerged with the aim of ensuring seamless, but secure, in-app purchases. Leading the way in the UK is the mobile operator-backed Payforit system, which was originally launched in 2006 to facilitate secure online micro-payments using only a mobile phone (with no need for a credit card or bank account). The recently launched Version 4 enables secure in-app purchases, and offers “single-click” purchases once user information has been entered at least once. Fifteen payment providers have been designated as accredited Payforit payment intermediaries in the UK, including companies such as Boku, Bango and Zong (PayPal). Many of these companies also operate globally; Zong, for instance, operates in over 40 countries, in partnership with over 240 mobile operators. To pay for virtual goods via Zong, users simply enter their phone number, and enter the secure code that they are sent via text message. The purchase is then charged to their monthly mobile bill or prepaid mobile account. This two-step verification process, along with partnerships with Verisign, McAfee and TRUSTe, ensures secure transactions and quick detection of fraud. As gamers increasingly migrate to mobile devices, from smartphones to tablets to advanced feature phones, MFS will need to adapt to these new contexts. The discussion on how best to accomplish this is quickly rising to the top of the virtual gaming agenda, with one panel at this week’s ICE Totally Gaming 2013 conference centering on the importance of speedy, yet secure, m-payments. As mobile gaming continues to gain pace, this issue is likely to move to the forefront of the MFS industry.